She turned her face away and remained silent. This book is on sale for $0.99. 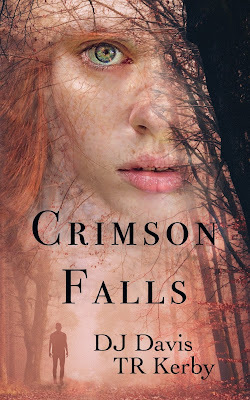 Crimson Falls is my first introduction to authors, DJ Davis and TR Kerby. I thought this book was pretty good. I love reading books that have strong female characters, so this one had me right from the start. The mystery and suspense was thrilling to read. I never knew what was going to happen next. I could not put it down until I was finished. I give Crimson Falls four stars and I would love to read more by these authors in the future. Thank you for hosting us. We're glad you enjoyed Crimson Falls.